The RedWAVE system is represented by a line of devices that solve underwater positioning problems for a wide range of consumers: divers, industrial or rescue divers, as well as subsea remotely operated vehicles (ROV) and autonomous unmanned underwater vehicles (AUVs). We are pleased to introduce to you our wireless digital communication modems RedGTR, RedLINE and NATRIX that implement a transparent transmission channel. Our modems are the smallest in the world and the most profitable in terms of price/reliability and transmission speed/dimensions. 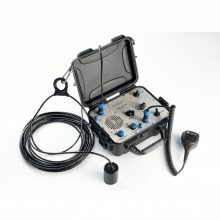 The underwater wireless telephone RedPhone provides the user with the ability to transfer voice messages between divers and a surface post, as well as between divers directly. RedWAVE system is designed in the “Laboratory of underwater communication and navigation” on the experience of Soviet scientists: employees Acoustics Institute. Academician NN Andreev (Moscow), Research Institute Gidrosvyazi “Calm” (Volgograd), Concern “Morphyspribor” (Leningrad) (the current “Okeanpribor”, St. Petersburg). 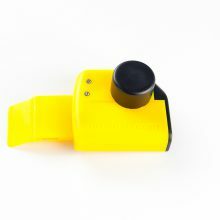 base and user reviews: industrial divers, divers, searchers and rescuers. We are studying the needs of the industry, we generate ideas, formalize the problem, create models and prototypes, test them in the laboratory and field conditions, produce serial devices. Therefore RedWAVE products are easily adapted to specific tasks: to change the performance of the corps; change information and security options interface; develop specific hardware and software interfaces. RedWAVE devices can be easily integrated into their own systems through open interfaces and detailed documentation. We help customize our product for any unusual problems! 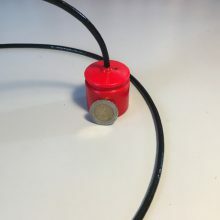 Speed ​​hydroacoustic modems Natrix work in steel and concrete technical pools, docks and other small bodies of water with strong reverberation as reliable as the open water. 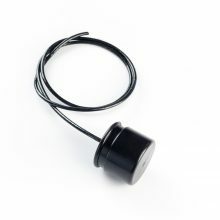 receiver is reduced to 70 mA. 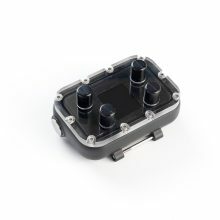 We have developed and patented a lightweight, durable and compact body for modems and navigation systems. 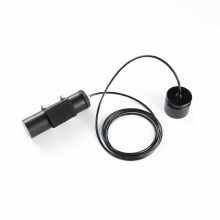 With a weight of 300 g and a size of 64 × 55 mm our devices provide absolute geographical coordinates within a radius of 3 km and at depths up to 300 meters. 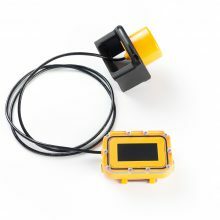 Navigation solutions such level for the first time available for miniature underwater vehicles: small class ROV, AUV and gliders, but can also be used in serious ROV. memorize points of interest (POI) and Marshall route to specified POI.